Cthulhu gets a Valentine! 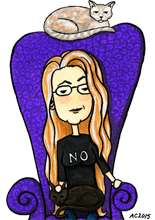 Of course his love-dreams could be for a birthday, anniversary or just because, but it’s that season and I drew him with that in mind. That said, my favorite part is the button-eyed Hound of Tindalos plush toy. He’s holding its paw! 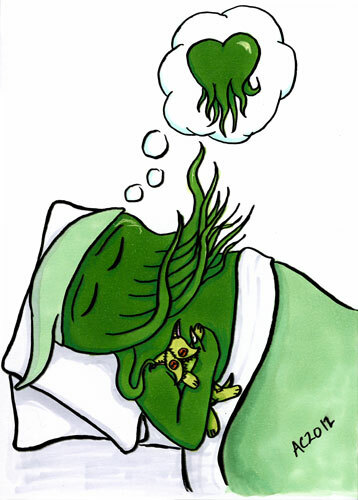 Aww, Cthulhu, we never knew you were such a softie. Cthulhu Dreams of Love, 5″x7″ pen and ink and Copic markers on paper. Visit my Etsy Shop to pick him up on a card!